Used at the First Gymnasium of Athens, in Plaka. 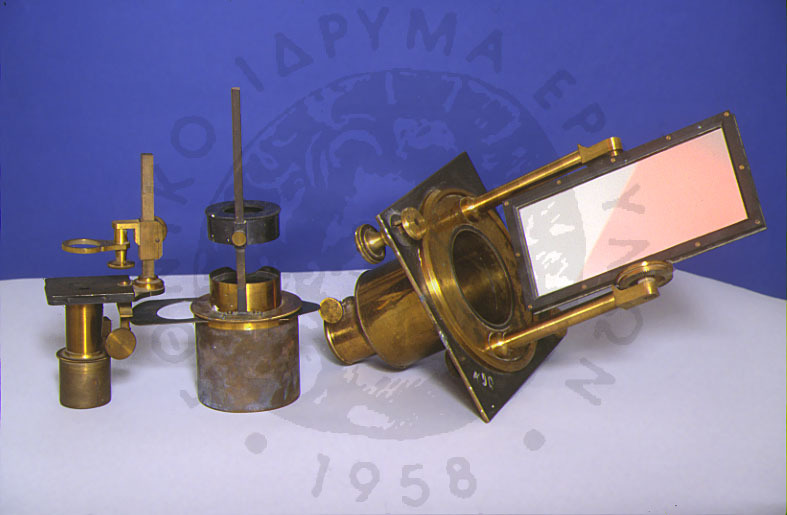 "The solar microscope is in reality a magic lantern illuminated by the sun's rays; it serves to produce highly magnified images of very small objects. It is worked in a dark room"